"Eliminate Data Breaches. Protect your organization from reputational and financial damage"
Ensuring end-to-end data security is essential for your organization's sensitive data. Data must be secured at every stage—from the point of creation, to transmission and storage—to prevent the financial and reputational losses that can arise from a data breach. 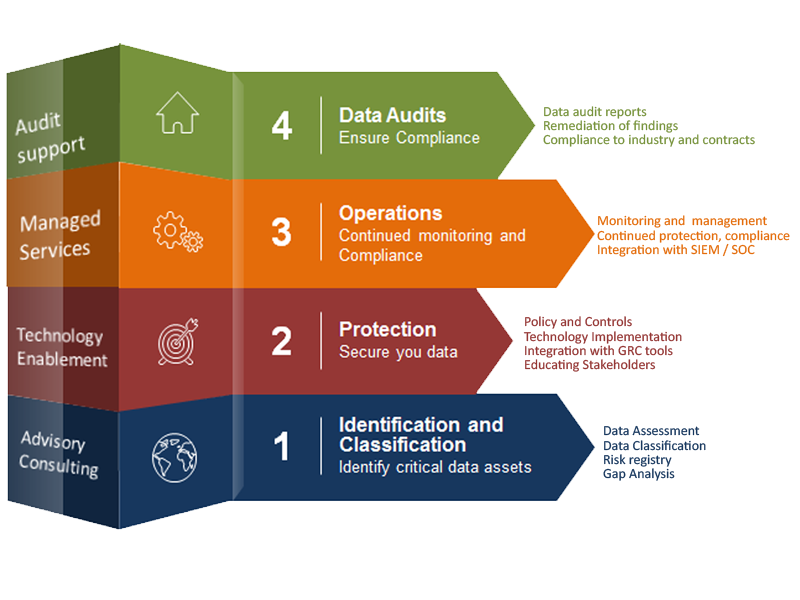 CDC’s integrated governance model for data security, leverages industry-leading data loss prevention and encryption technologies, as well as consolidation of point solutions.